Revised and updated FogQuest field guide available soon! 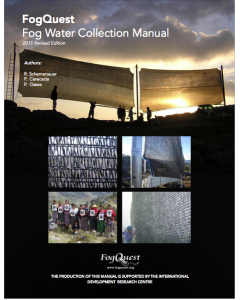 After several years of development the revised and updated 2017 FogQuest Fogwater Collection Manual will be available soon as an e-book, printed book or PDF. This comprehensive guide will prepare any individual, group, or NGO for fog collection projects in the field. 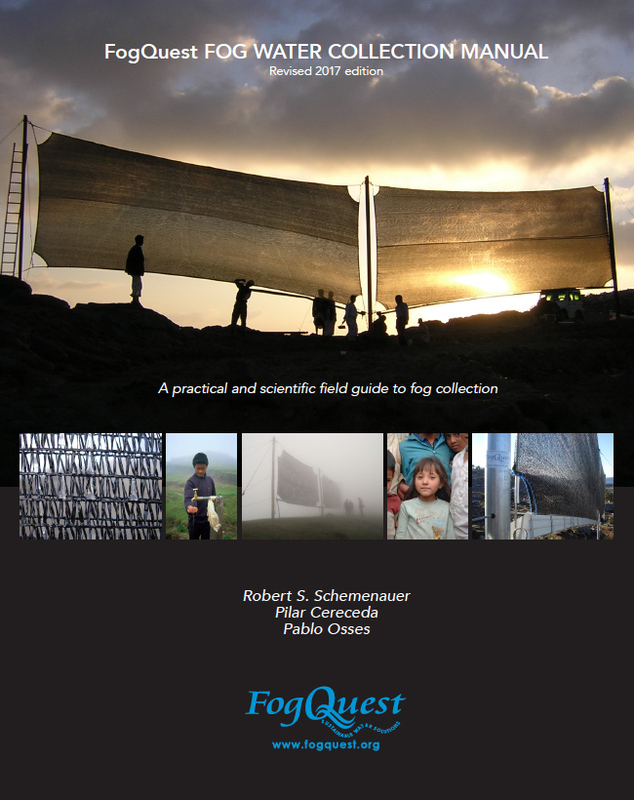 Based on many years of research and experience, the manual discusses and details the scientific, climatic and social conditions needed to complete successful fog collection projects internationally. We will send out a notice when the guide is available for purchase. Stay tuned! This project has been ongoing successfully since 2006. 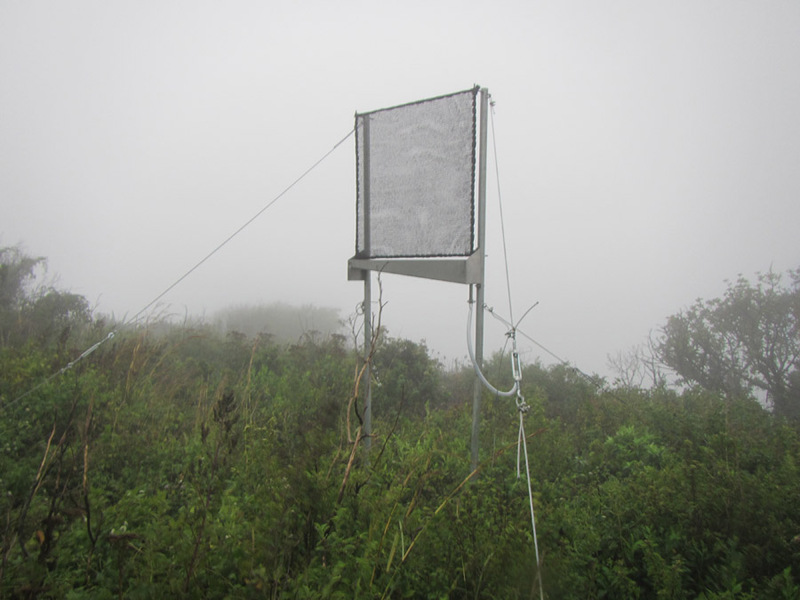 There are 35 large fog collectors (LFCs) that FogQuest and the villagers of Tojquia have built in the high mountains of Western Guatemala. Each of the LFCs has a surface area of 40 square meters and produces an average of about 200 L of water a day during the winter dry season. 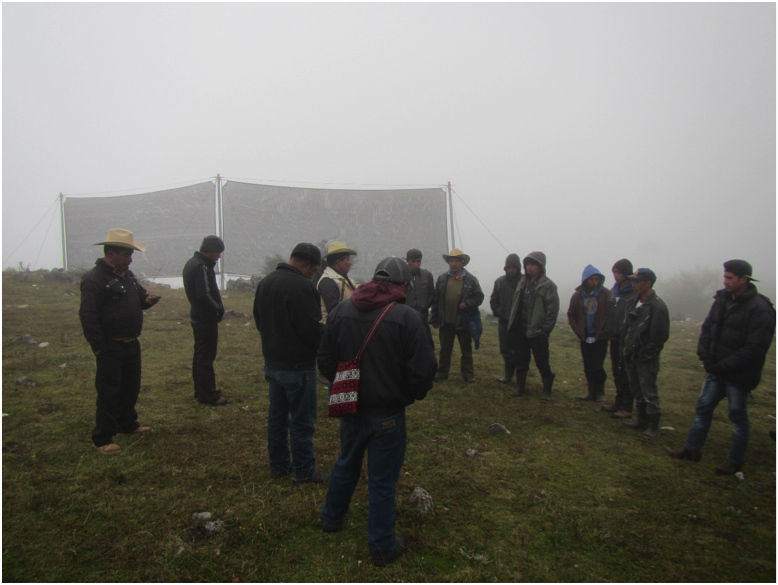 In December 2016 Nicolas Zanetta, a FogQuest volunteer from Chile, visited the site to assess the status of the fog collectors and to meet with the villagers and members of the village water committee. 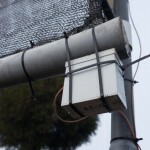 This committee was established a year ago to coordinate the use of the fog collectors and to collect a small fee from the users to use in the maintenance of the fog collectors. The family income in the community is only about one dollar US a day, so the collection of funds from the community is a significant commitment. Nicolas found that all 35 collectors were in good condition with no major problems. Eight of the collectors needed minor maintenance to their troughs or the mesh. Funding from FogQuest donors was available to buy four new water tanks each of 1000 L capacity. The tanks were installed at four homes to collect rain water during the wet season. 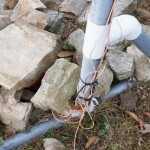 They will be moved to receive water from fog collectors when new ones are built for the families. It was the water committee that decided which families would receive the new tanks and this was based on the work they had contributed to the project in previous years; however, the entire community had to agree to the location of the tanks before they were installed. A major change that Nicolas noted during his visit was the greater involvement of young people in the community in the fog collection project. 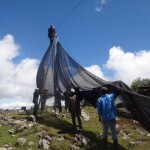 This is the 12th year of the project and they are gradually taking over leadership and maintenance from their parents. FogQuest is providing technical and material assistance to a team from Engineers Without Borders (student chapter, University of Colorado) who will set up four SFC’s in the Kalinchowk region on Nepal, an area that was badly damaged by the earthquakes of two years ago and is in need of water. 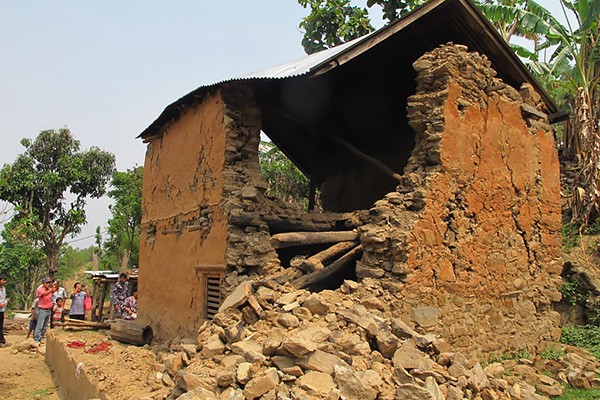 The Canadian NGO, Nepal Community Development Foundation is also assisting. A small team will depart from the U.S. this month and will spend two months in the region. We will post any updates and news we receive on our web site and in further editions of our newsletter. FogQuest volunteer Nicolas Zanetta, recently returned from Nicaragua and Guatemala where he installed SFC’s in both countries. Here are some images from that trip – a full report will be posted here soon. Below are a few news items that we’ve sent out on our newsletter and posted on our Facebook page over the past few months. A very successful conference was held this summer in Poland, with about 125 delegates from about 30 countries attending. This is the seventh in a conference series that was started by Dr. Robert Schemenauer, the Executive Director of FogQuest, in 1998. The conference is not operated or sponsored by FogQuest but we endorse the efforts to enrich the knowledge base that can lead to successful uses of fog and dew as water supplies and to demonstrate to scientists working in the atmospheric sciences, as well as hydrology and related sciences, that there are important practical applications to their work. Two papers were presented (see below) describing ongoing projects of FogQuest. 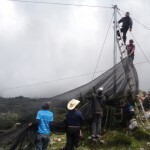 One discussed the project in Tojquia, Guatemala from 2006 to 2016. The other discussed the fog collection projects in Nepal from 1997 to 2016. Dr. Robert Schemenauer attended the conference* as a representative of FogQuest and made a 15 minute presentation on the work in Nepal. Mr. Nicolas Zanetta from Chile represented both the Atacama Desert Center in Chile where he works and FogQuest where he is an important volunteer. 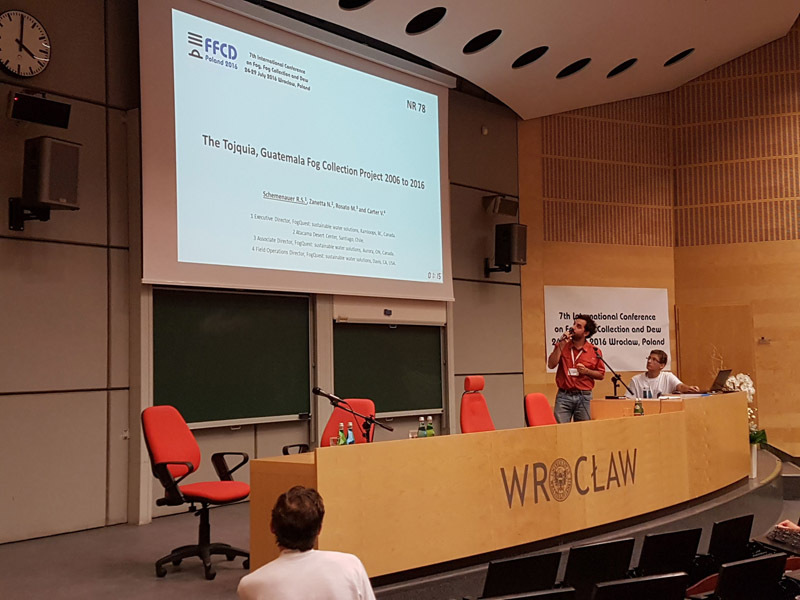 Nicolas gave a one minute introduction to the work in Tojquia and interacted with the delegates at the associated poster paper. The conference was a wonderful opportunity to exchange information and to meet colleagues from diverse backgrounds working in all parts of the world. It was also an opportunity to meet old friends. 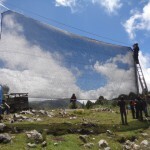 Pablo Osses went to Nepal almost 20 years ago to install the first small Standard Fog Collectors and to train local groups on the construction of Large Fog Collectors. He is now a Professor at the Catholic University of Chile in Santiago. 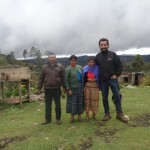 Nicolas Zanetta is a young man who brings experience and great enthusiasm to our present project in Guatemala and this week will go to our new evaluation project in Nicaragua. The two conference papers presented on FogQuest work in Guatemala and in Nepal can be downloaded below. The entire conference proceedings volume is also available for download here. 2016 Schemenauer, R.S., B. Bignell and T. Makepeace: Fog Collection Projects in Nepal: 1997 to 2016. Proceedings of the 7th International Conference on Fog, Fog Collection and Dew, Wroclaw, Poland 24 – 29 July 2016, pp 187-190. 2016 Schemenauer, R.S., N. Zanetta, M. Rosato and V. Carter: The Tojquia, Guatemala Fog Collection Project 2006 to 2016. 7th International Conference on Fog, Fog Collection and Dew, Wroclaw, Poland 24 – 29 July 2016, pp 210-213. FogQuest received a very generous donation from the Broadview Avenue Public School located in Ottawa, Ontario, Canada. The school put on a fundraising event earlier in the year. The theme was clouds, fog and raindrops. Our thanks to a teacher, Ms. Darlene Morrow, who initiated the event and all of the students who worked so hard to raise the funds. 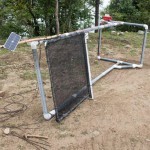 We will use the donation to help with our ongoing project in Tojquia, Guatemala. Guatemala – Nicaragua : Can you help? Nicolas Zanetta, from Chile, will be travelling to Nicaragua and Guatemala in the middle of December. In Nicaragua he will spend a few days working with the NGO, Apapachoa, to begin the evaluation of a new site in the mountains south of Managua. 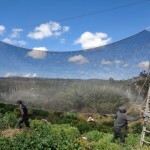 Nicolas will set up Standard Fog Collectors to see whether there is sufficient fog water through the winter time to support market gardens for the local people. He will then go on to Guatemala. 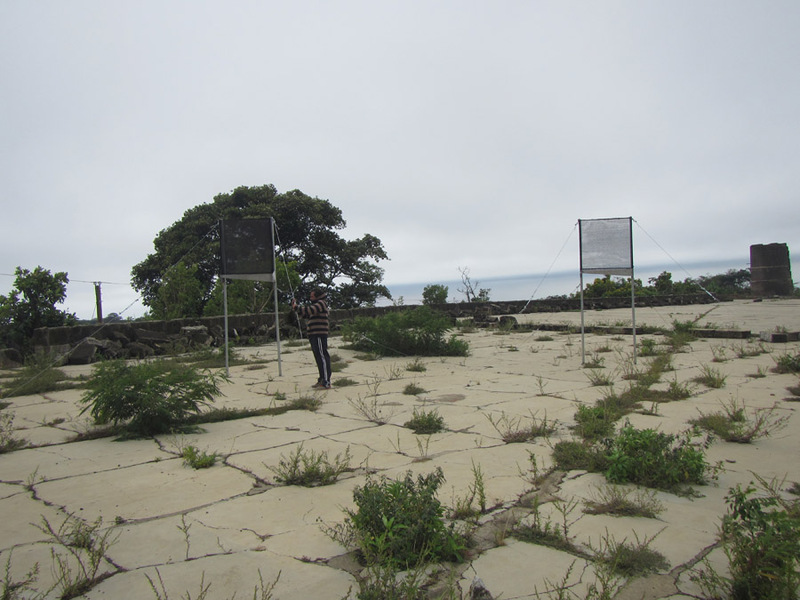 The images above were taken at our project site in Tojquia, Guatemala, where we have a installation of 35 large fog collectors. 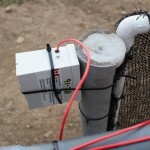 FogQuest is using this system to help provide clean drinking water to this rural mountain community. 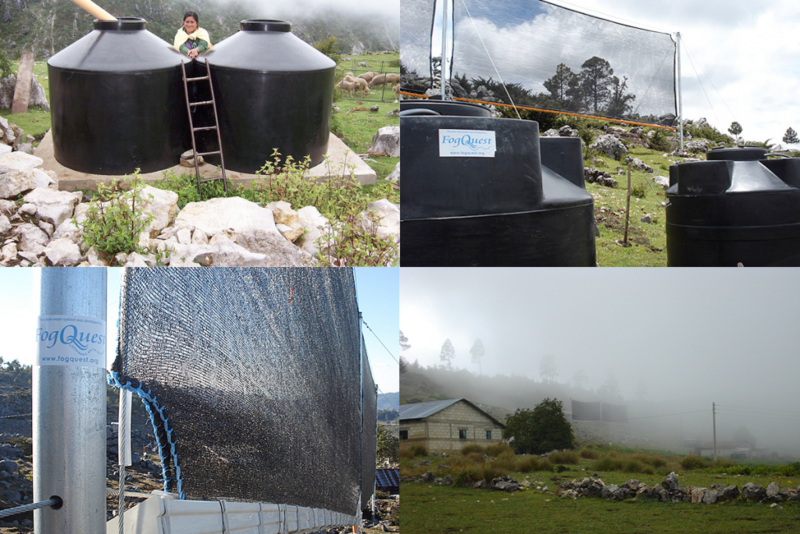 The large fog collectors have provided about 7000 L of water a day during the dry season to the people of Tojquia for over 10 years. The community has asked for help with an expansion of the current system and we are providing two more water tanks, similar to those pictured here. 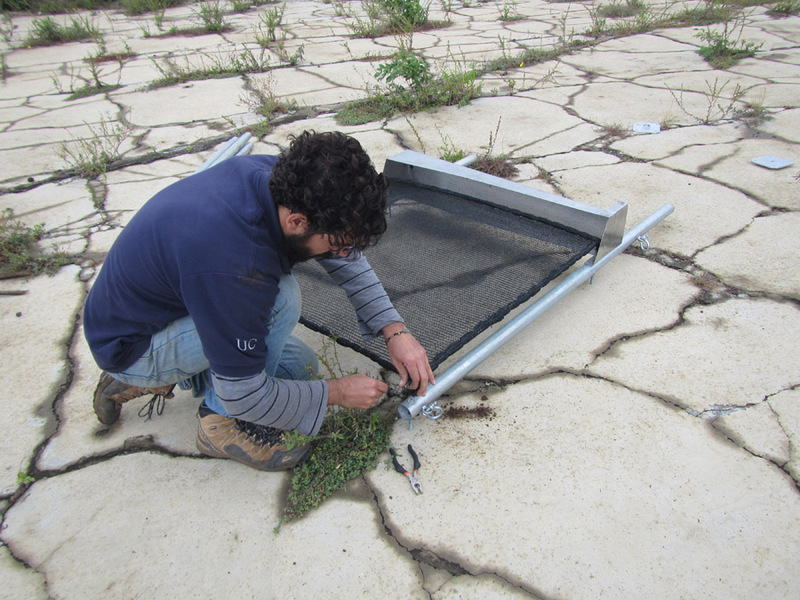 Nicolas will also work with the community to assess what maintenance night be needed on the existing fog collectors and will discuss the construction of new fog collectors with them. The tanks cost about $360 USD each, and a roll of mesh is $150 USD. Some of the funds for the trip came from our recent Gofundme campaign. A donation of any size is appreciated and will help this successful project to continue to grow. The work of installing the tanks at two new village homes will be done by the villagers themselves. 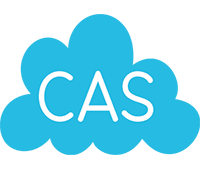 Two donation links can be found on our homepage – you may use either CanadaHelps or PayPal – thanks! 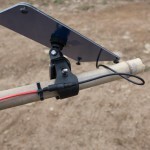 The Silauti SFC project has run for six months. The past three months have been very dry but cold weather and have reduced the overall yield to approximately 4.5 litres/meter/day as an average. The data has been split into wet and dry seasons and we can see that the winter, while there’s abundant fog, is not getting the yields that we were seeing in the transitional seasons and summer. Winter data is about 1 litre/day per square meter. 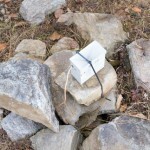 The monitoring equipment has not only been able to survive the location’s climate and conditions, it’s also been recording the data without incident over the past six months. The data shows an average collection rate of 4 to 5 litres/meter/day. 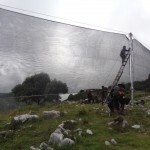 Placement of the collector and the presence of turbulence from the trees on the downward side of the ridge may be factors in the overall results. The SFC has now been moved to a saddle ridge on the nearby military base for the next six months. This location is 2km from the temple at Silauti and we’re expecting to be able to compare results from the two locations over a full dry and wet season. The ridge is crisscrossed by alternating prevailing winds that bring large, dense banks of fog into the area. 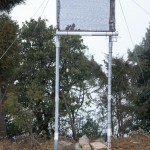 The altitude at the new location is similar to the temple at just under 2800m. The deadline date for submitting abstracts to the 7th International Conference on Fog, Fog Collection, and Dew has been moved to the end of January. For more information please go to http://fog-conf.meteo.uni.wroc.pl/ or visit the Conference section on our FogQuest website. Revised & updated operations manual – coming soon! We are currently finishing the revised and updated operations manual for 2016 – it will be available for sale on our web site in the next few weeks. The manual provides detailed information on how to select a site for a fog collection project, information on involving communities, construction guidelines for both small and large fog collectors, as well as background information on scientific, meteorological and geographical factors relevant to the fog collection process. The entire manual – or specific sections – may be printed in B&W or full colour. Thanks to St. Francis School! We are very fortunate to have a new and vigorous young volunteer from Chile. Nicolás Zanetta Colombo, is a geographer from the Centro del Desierto de Aatacama of the Pontificia Universidad Católica de Chile. 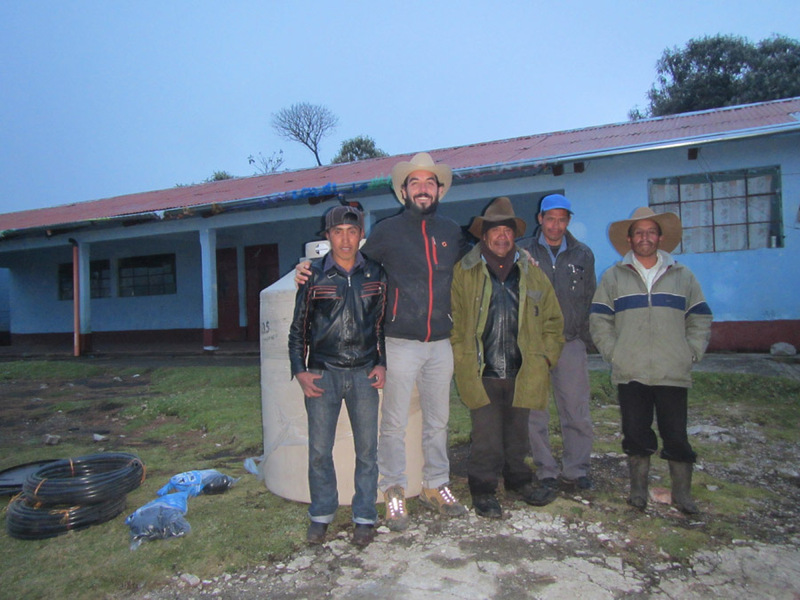 He traveled to Guatemala to work at the FogQuest village fog-water collection project in Tojquia in early September. His main tasks were to interact with the people of the village through group meetings and personal discussions in order to establish their views on the status of the water project and also to assist with some needed repairs to seven of the large fog collectors. The 35 LFCs have now been providing water for 10 years since their construction in 2006 and some of the mesh required replacement or repair. The LFCs produce an average of about 7000 L of fog water a day during the dry season when there is no rain. This water is provided directly to individual homes and farms. The families remain very grateful to FogQuest for the project and one of the major benefits is the time saved by the families by not having to walk big distances looking for water in the dry season. There is a general motivation within the community to organize in order to maximize the benefits. 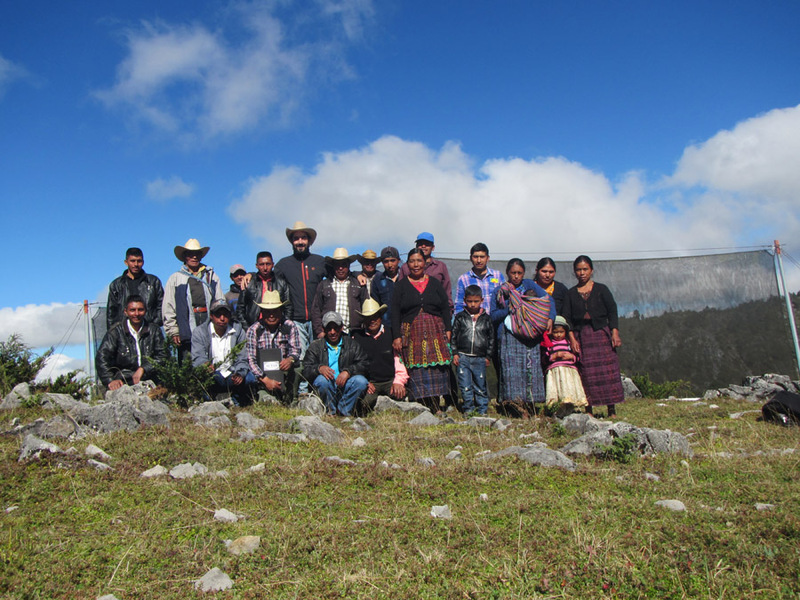 After the meetings with Nicolás a water committee was organized and endorsed by the families in the village. Their ideas on how to advance will be reported back to FogQuest and we will continue to work with them in the year to come. There are many social and technical tasks still to undertake but the village needs and the benefits of the water are both very real. 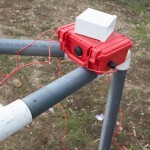 FogQuest has been supported by: our Volunteers, Members, Individual and Corporate Donors, IDRC | CRDI, Round Square Schools, WasserStiftung Water Foundation, Erwin Taylor Charitable Foundation, Schools, Clubs and Districts of Rotary International, and other organizations and businesses over the years.